From the bestselling instructor Mark Perren-Jones, after many months in the making, comes his latest course! This is the shorter( more than 3 hours of content) FREE version of his full course but is still packed with lots of great information that you can start implementing in your life immediately. Mark's last course on aromatherapy became a bestseller in just a few days and taught people how to make lotions, balms, salves and a huge body of information all about aromatherapy. This course teaches you how you can use common natural products for your home and health. The first section shows you how you can use natural products in a myriad of different ways throughout your house and also for your health. 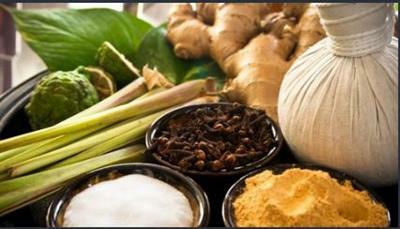 You also learn the amazing benefits of different plants, herbs and spices. The second section teaches you how to treat certain health conditions naturally based on the hours of research Mark has done for each condition. If you want to treat a health problem naturally you do not have to go onto the internet and search and search because Mark has done the work for you. This course is, as I say, a short version of his full course but it is still a valuable resource for you to use today and in the future. You will see just how easy it is to use less and less chemicals in and around your home and for you and your family. Your family will thank you as will the environment.